Information on a new Legend of Zelda game, The Legend of Zelda: Spirit Tracks was released all across the internet today. I found a trailer for it on YouTube. Enjoy! So... it's Wind Waker with trains? I've been thinking about something recently. 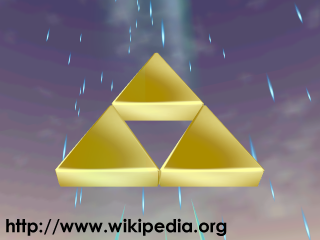 I was playing Legend of Zelda: Ocarina of Time, the other day, and I got to thinking: "Hey, there's a piece missing from the Triforce!" Look at it, it's clearly broken. 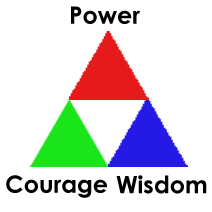 Each triforce piece is represents a different virtue and goddess; Courage and Farore, Wisdom and Nayru, Power and Din. So, the key to figuring out the power of the missing piece is to figure out it's virtue and/or goddess. 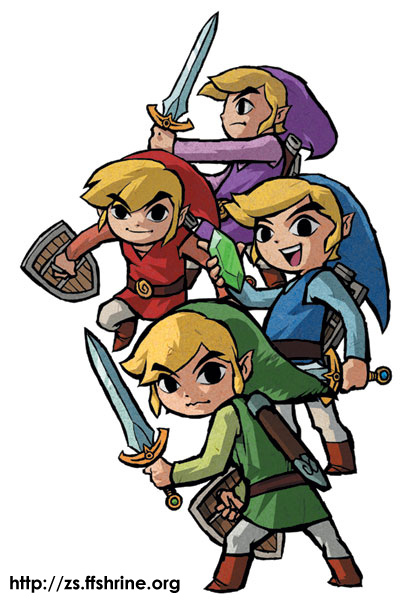 If you color coordinate each piece with the goddess, the Triforce should look something like this. 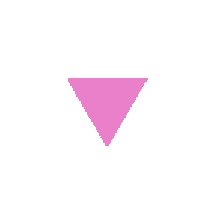 So, if the missing piece is and upside down pink triangle, which is a gay pride symbol, that means the missing piece must be, The Triforce of Fabulous. Clearly, there can be no other explanation.